First off, why choose salt? Over the many years we’ve been selling salt chlorination, consumers tell us time and time again that the three primary reasons they love the salt chlorinators is due to the feel of the water. Actually, having the salt in the water makes it feel softer, and it’s less irritating to their eyes. The comfort is the first reason. Another is the convenience. The convenience of automatically making chlorine, so they don’t have to be concerned about it or worry about it all the time. The third is the cost savings. In the long run, while there is some outlay of capital initially to buy the product, over the long run, it is less expensive than the purchasing of traditional chemical chlorine. Do you believe oversizing a salt system helps lengthen the life of a salt cell? Yes, oversizing the salt system is a big help with cell longevity. We do have different size units available, and we do that because if you have a small pool, you don’t have to have a larger size system. We have a 15,000, a 25,000, and a 40,000-gallon system. You certainly can put the bigger size unit on a small body of water and just dial the system down. That, actually, is an advantage because then the system’s not working as hard, and it will last longer. When in doubt, you get the bigger unit and dial it back. For price point reasons, some people don’t– the units cost a little more money. 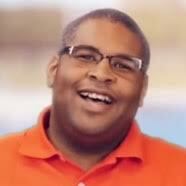 They’ll say, “Well, I only have a 15,000-gallon pool, I’ll buy the 15,000-gallon system,” and that works perfectly fine, last throughout the warranty period, and then some. There is no way to go “too big” on a residential salt chlorinator? Correct. Historically, we sell a lot of the 40,000-gallon systems on all different size pools. It could be a 7000-gallon body of water in Florida, a 12,000-gallon body of water somewhere else in the country, and that seems to be the best solution I think. When it comes to maintenance and overall lifespan, is there anything you can do to lengthen cell life? Yes. We find that around the country and even around the world because we do sell this product globally. Everyone’s water chemistry is different. The frequency on which you need to clean the cell can vary. What we do in all of our products is we have a check cell light that comes on every 500 hours just to remind the consumer, if you haven’t checked it by now you should. They’ll find the sweet spot for themselves. Let’s say, you’re going to need to check the cell and you’re going to want to clean it. The reason is calcium scale can build-up on these devices, and that can shorten the length of the products lifetime. By having regular cleaning, regular maintenance like most other devices, you’re going to extend its life. How to tell when a cell is dead or just needs to be cleaned? Right. After periodic cleanings and after some period of years, this is a wearable item, right? The cell needs to be replaced at some frequency measured in years. What will happen is you’ll get a check salt light or an inspect cell light to come on. You’ll inspect the cell, you’ll clean it, you’ll put it back on, and you can notice that the generation of chlorine is not as great as it used to be. It’s starting to fade away. It’s like miles per gallon in your engine. You’re not getting the efficiency you’re used to. You can do that if you go into the diagnostic menu and actually look at parameters inside there. It’s a little bit complicated, but our tech service people can give you guidance as to exactly when the system starting to trail off and when it’s time to replace it. 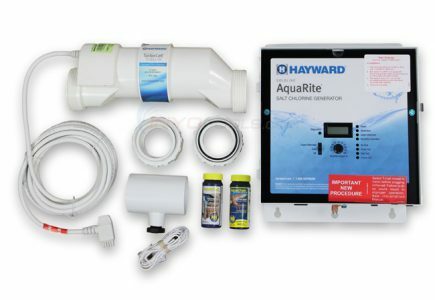 If you’re interested in converting to salt, feel free to browse our Hayward AquaRite selection.